Tell us about your background and how you come to set up your own independent children’s publishing company, Inside Pocket? Sarah: I’m a copyright and trade mark lawyer by background, although my first job after training was actually in a start up publishing company, responsible for contracts and licensing. I spent two years there, and at the end felt like I’d done an MBA; I learnt so much about how a company works. That early experience has bubbled away in the background for many years, and finally burst out in the form of Inside Pocket. The catalyst was having the right people in place as founders: myself (business and operations), Christoph (creative – artistic and editorial) and Tara (PR and communications). Can you introduce the Inside Pocket team to our audience and explain how you typically work on projects together? Sarah: The founders make up the executive team and we cascade down responsibilities within our teams. Much work is outsourced to freelance editors, illustrators and PR agents etc as needed. I work very closely with Christoph and Tara and it is my responsibility to draw all the threads together, making sure we work as a coherent whole. I also work very closely with our publishing partners, Frances Lincoln and Lerner, who provide sales force and distribution in the UK and the US. Typically, once a contract for a book has been finalised, it gets its own production schedule and we follow this very closely. Cover design and any artwork is commissioned as soon as the contract is signed, as is the editor. At this stage the title is mostly within Christoph’s team. Once the cover design is finalised, the title straddles both Tara’s team and Christoph’s, as the marketing plan is developed and catalogue entries are formulated. Finally, the title moves entirely over to Tara’s team for the PR effort. Christoph, could you tell us about your professional background including how you came to collaborate with Sarah on Inside Pocket? Christoph: I trained as a graphic designer then began a career as a video cameraman in the corporate field. An unexpected change of direction took me into the theatre where I produced and directed a number of fringe plays. This is where I met Sarah. We got married and after taking some time off to be a housedad to my two sons, I thought another change might be of interest and so plunged into publishing with both eyes firmly shut. Tell us about the exciting book deal Inside Pocket has just signed with with Roald Dahl Funny Prize-winner, Ursula Jones. 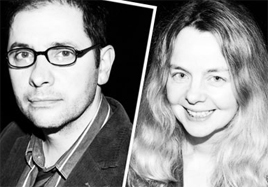 Sarah: When Celia Catchpole sent me the script for The Youngstars, I couldn’t put it down. Christoph also loved it and so we went with it. We didn’t even send it out to the editorial committee. One of the great things about being a small company is that you can go with gut decisions like this. Normally though, we are a little more circumspect and take some time gathering feedback before we take a decision on a title. At Inside Pocket, do you prefer to work with established illustrators, or are you committed to seeking out fresh, new talent? Christoph: We’re happy to draw from either source. Our main concern is to find the right illustrator for the job, whether they be new or already established. That said, it is always very nice to find someone new and give them the exposure they deserve. 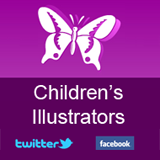 The market for illustrators is highly competitive these days, with a great many talented individuals out there. I tend to advise illustrators, first and foremost, to team up with a good writer and try to originate a project, rather than hoping something will fall into your lap. Quite often publishers don’t really know what they want to publish until they see it. They may see an illustrator, think them wonderful, but have no text with which to match them. Matching text to image style is not always easy, so if the work comes ‘readymade’, so much the better for us! Tell us about the publishing partner deals Inside Pocket secured this year with Frances Lincoln in the UK and with Lerner Books in the US. Sarah: In our first year of trading, our sales were managed through a publisher services company, whose reach was quite limited. The deals with Frances Lincoln and Lerner are a key stepping stone in our business strategy, opening up many different sales channels for us. 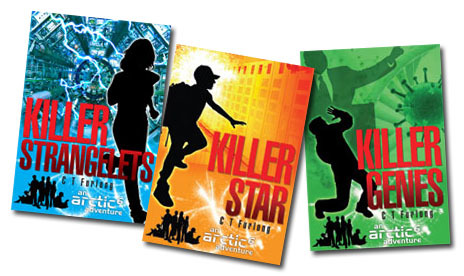 The company specialises in mystery and adventure books for children and young adults. What led you to focus on this area of the market? Sarah: We love these kinds of books, pure and simple! 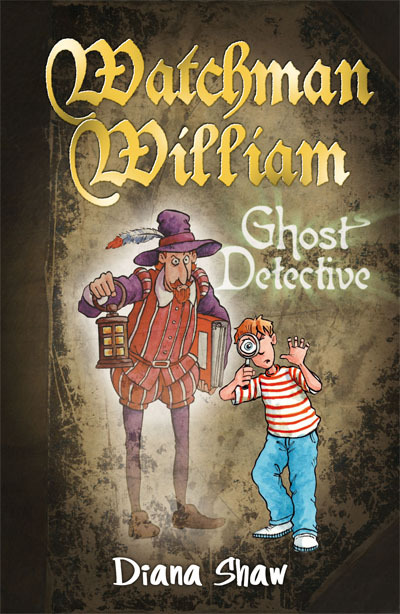 Which mystery and adventure book was a personal favourite from your own childhood? Sarah: Watership Down, followed closely by Lord of the Rings. Both very different! Christoph: Treasure Island, Wind in the Willows and Gormenghast. Since the company’s inception in 2010, the publishing programme has been highly praised. Tell us about some of your core titles and explain the strategy behind the list selection. 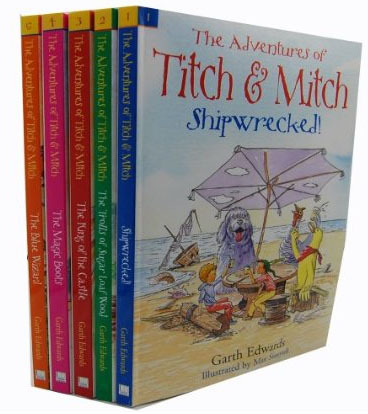 Sarah: We launched with our first three 5+ books: Shipwrecked! The Magic Boots and King of the Castle. They had been passed down through word of mouth over three generations and it was a great privilege to be the one to persuade the author to finally write them down. 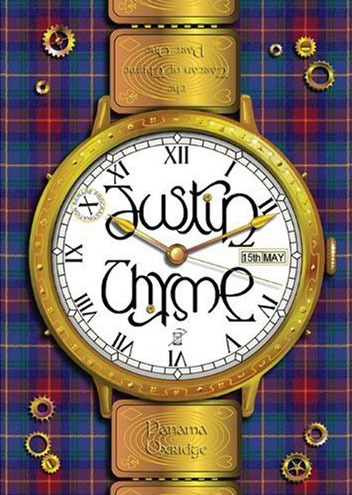 Justin Thyme, the first in the Tartan of Thyme series, was another fantastic find with a great story behind it. I was on a cycle tour with one of my oldest friends in the Cotswolds and we were rained off our bikes in Moreton in Marsh. To kill some time, we wandered into the local bookshop (Cotswold Books) and browsed. The owner, Tony Keats, showed us an amazing book that could be turned upside down and still the title read ‘Justin Thyme’ (it was an ambigram). He described it in passionate terms as a who dunnit mystery full of clues within clues. I was completely sold on it, asked to buy a copy only to be told it was out of print! I contacted the author, read a proof, loved it…and took it from there. One of the pleasures of this business is the way books come to us – by chance, through persuasion or through agents. I never know what will turn up next. Talk us through a recent project you have enjoyed, explaining some of the highlights and challenges. 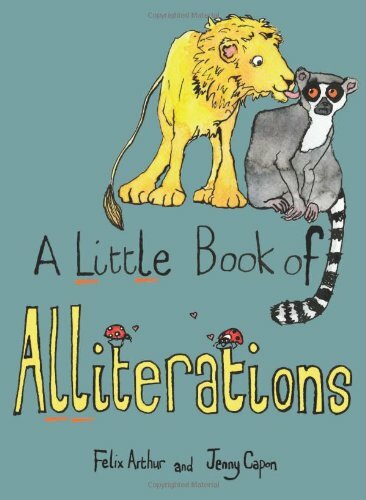 Christoph: A Little Book of Alliterations was a wonderful little project. It was also one of our first, which makes it very special for us. We had the text given to us by a close friend who thought it may be of interest and immediately got the idea, which is where the strength lies in this book; it doesn’t have to explain itself beyond the title. The illustrator, Jenny Capon, had done a few roughs for us on another project and, although they weren’t quite right for that, I really liked her style and wanted to use her for something else. When Alliterations came along, I knew I had the perfect match. Jenny also brought her own ideas to the book and gave it something I hadn’t even seen. Every time I look at it something new jumps out, which makes the book very lively indeed. We also worked very hard on getting the feel of the book right, and the printing has been of a very high standard (with my background in graphic design I have managed to retain some idea of what works) consequently the book has a very special feel and is just a complete joy to behold. I think the author was very happy too. 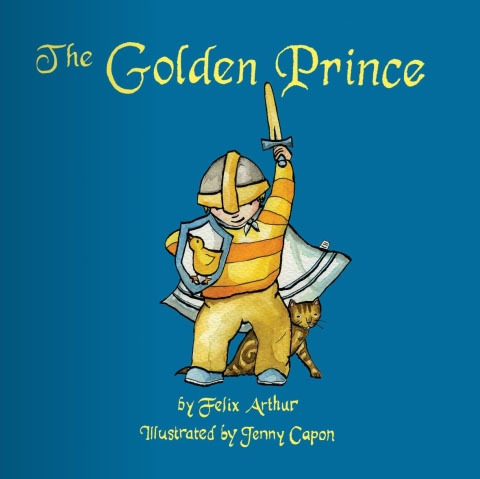 He must have been, as he went on to The Golden Prince for us, which is another wonderful story. Who or what has been your greatest source of inspiration in the world of children’s publishing? Christoph: I’m always very impressed with Julia Donaldson. She has an infectious enthusiasm that comes out in her work. When the boys were very young, I used to read The Gruffalo and Monkey Puzzle to them every night and never got bored of it. There’s a page in Monkey Puzzle, where the elephant reappears, that always made me laugh, even though I knew it was coming. 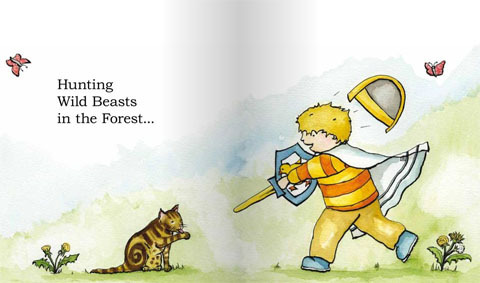 Usborne also produce consistently high quality books. And I know they work, because I have seen my boys reading them from a very early age, engrossed in every page. They remind me of the Richard Scarry books I loved as a child (and still have great affection for). Sarah: Andreas Whittam Smith, former editor of The Independent and founder of Indie independent publisher Notting Hill Publishing in the early 1990s (it was an electronic publisher, way ahead of its time). Andreas gave me my first job in publishing (as a rights lawyer), and I learnt an enormous amount in the two years I worked for him. 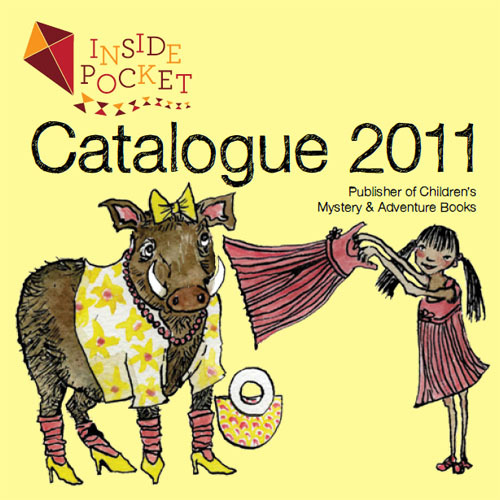 What can we expect from Inside Pocket’s 2012 programme? We’ll be publishing Ursula Jones, of course! Also, a new American author, Jorge Contreras. On the illustrated front, there will be more Watchman William and certainly more picture books. This entry was posted in Publishing on July 28, 2013 by admin.